Upgrade to a more impressive new front door, patio doors or something a little more unique. Let us advise you on the best product for both your budget and personality. View photo gallery >Create a stunning entrance to your home with a brand new front door or open up the view onto your garden with patio and french doors. 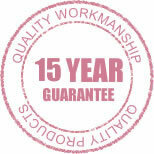 We provide a friendly installation service for homeowners across Kent and East Sussex. All of our doors are available in uPVC, aluminium, timber and composite material meaning that we can offer a door to suit a range of budgets and properties from modern to traditional. 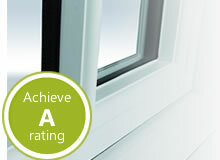 We can also match your energy efficiency requirements by combining either uPVC, aluminium or timber with our double or triple glazed units. If you’re looking to upgrade a uPVC door and neither aluminium or timber take your fancy, why not go for a composite door? They are strong, brilliant at keeping the heat in and very low-maintenance, keeping your home warm and safe with minimal maintenance fuss. Composite doors are made to imitate the grain of timber, making them a great alternative to real wooden doors and are available in lots of different colours for you to choose from. 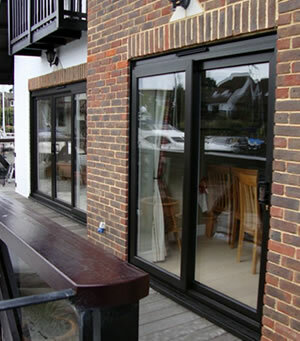 Alongside our quality composite doors we also offer beautiful bifold doors in timber, aluminium or uPVC. Bifolding doors are a unique addition to any home and can be used in place of French or patio doors to open up a room onto an outside space.